A beautiful nourishing moisturiser especially developed for use straight after your Rotorua Thermal Mud Mask and Scrub. 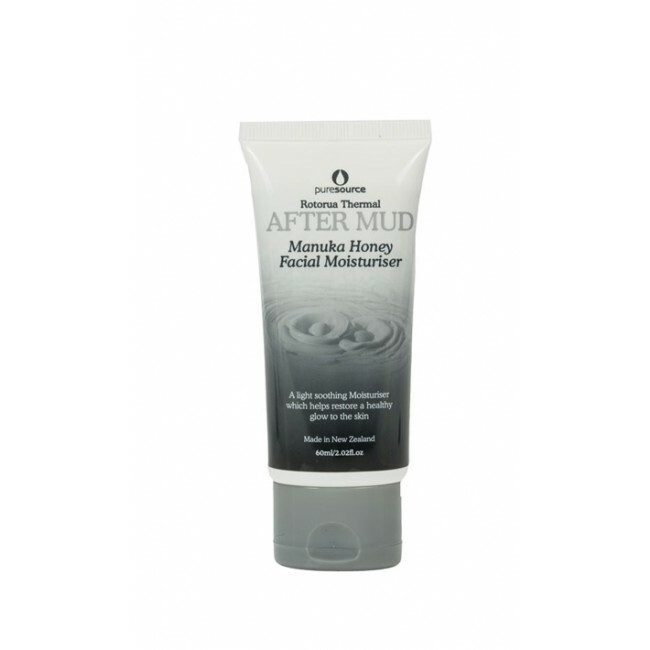 Blended with Manuka honey and rosehip oil to maintain that beautiful healthy glow you did get from your Mud treatment. 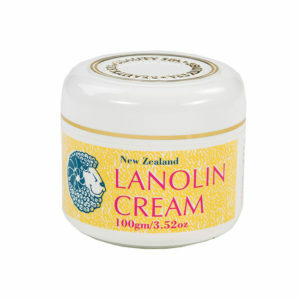 How to use: Put required amount on fingers and gently massage into the skin. 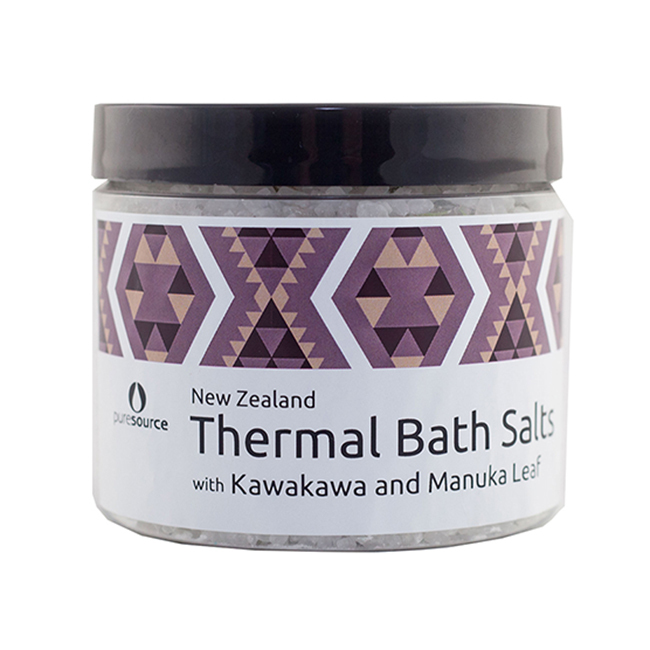 Great to use after Rotorua Thermal Scrubs and Masks. Can be used day and night. 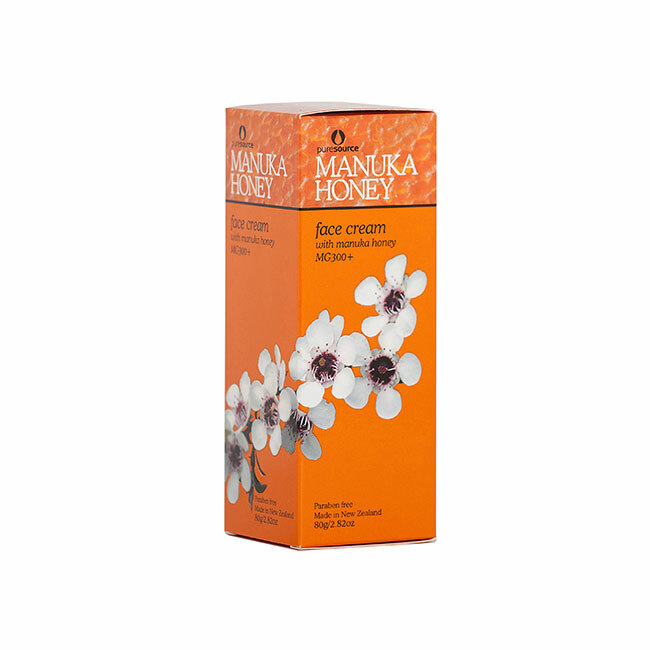 With: Manuka Honey, Rosehip oil (full ingredients below). 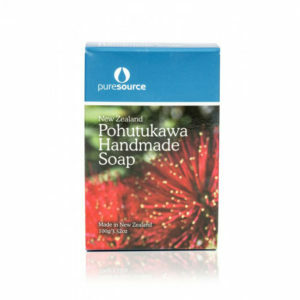 Purified New Zealand Spring Water, Octyl Palmitate; Glycerine, Glyceryl Stearate & PEG-100 Stearate, Cetyl Alcohol, Leptospermum Scoparium Mel – Manuka Honey, Stearic Acid, Cetearyl Alcohol & PEG-20 Stearate, Di-isopropyl Adipate, Polysorbate 60, Triethanolamine; Dimethicone, Rosa Rubiginosa – Rosehip Oil, (Ethylhexyl Glycerin, 2- Phenoxyethanol; Dehydroacetic Acid, Benzyl Alcohol), Phenoxyethanol, Kiwifruit Extract, Fragrance, DL-alpha-tocopheryl Acetate – Vitamin E; Helianthus Annuus (Sunflower) Seed Oil, Rosmarinus Officinalis (Rosemary) Leaf Extract. I’ll be coming 60 years of age very soon. 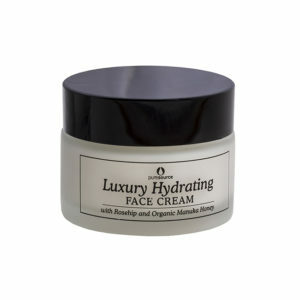 My skin was dry, started ageing very quickly due to menopause, medication and stress. Started this Facial Moisturiser 10 months ago 2017. The first time applying the moisturiser was really smoothing. Skin stays smooth and fresh all day. ( I’m a skeptic!) when it comes to products, Here I am still going. 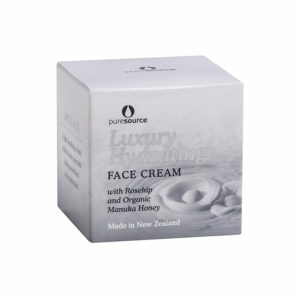 The Product is light, non oily, it encourages you to feel and approve of your skin and appearance. Skin stays smooth and fresh all day. Have a go it is BRILLIANT!!! I was given this as a gift and just love it. I will definitely be buying more when it’s finished. It would be one of the nicest products I have used on my skin.